Home » Mideast Security and Policy Studies » Sudan’s Policy in the Era of Arab Upheaval: For Good or for Evil? EXECUTIVE SUMMARY: This study examines Sudan’s policy with an emphasis on the last seven years, analyzing the constraints within which the leadership has made its decisions. 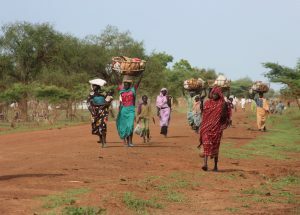 Since attaining independence (1956), Sudan has developed a policy in which its domestic considerations dictate the agenda and drive its regional and international moves. The study will survey the political-historical background of modern Sudan, taking into account the society’s complexity and heterogeneity with its various religious, racial, and tribal groups, along with the country’s geopolitical location. Attention will be given to the changes that have occurred in the country and the region and how these have influenced Sudan’s policymaking. Not to be ignored is the emergence of ideologies, and the changes that have been wrought in them both by leaders and by force of circumstance. Starting in the mid-1970s, the identity that initially was molded by the ruling elite as an Arab and Middle Eastern one was transformed into a radical Islamic-Sunni one. The attitude towards Israel – as evidenced, for example, in the pan-Arab “three no’s” of the 1967 Khartoum summit conference – evolved into Islamic hostility towards the Jewish state. Along with other major changes, the removal of Hassan al-Turabi from the political arena (and his death) has led the leadership to consider establishing diplomatic relations with Israel.